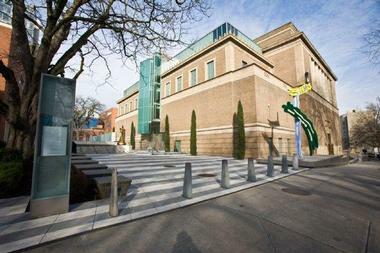 The Portland Art Museum was founded in 1892 and is the oldest art museum in the Pacific Northwest. The Museum was originally started through the Portland Art Association, an organization that was founded by seven distinguished cultural leaders of Portland. These leaders envisioned a high-class and educational museum for citizens every socioeconomic class. With the help of some generous Portland citizens, the Museum was able to purchase its first collection that year. The collection was worth approximately $10,000 at the time and consisted of about one hundred plaster casts of Greek and Roman sculptures. This collection was named the Corbett Collection after the Portland local who donated the funds, Henry Corbett. The collection went on display at the Museum's original location, a public library, and it was immediately popular and attracted all kinds of artistic Portlanders. The museum quickly outgrew this location and relocated to its own personal building in the year 1905. The decades to follow consisted of the obtaining priceless collections and hosting prominent gallery showings. One of the most exciting showings in the Museum's history was hosted in 1923. The exhibition featured paintings by Picasso, Matisse, Prendergast, Burchfield, and Weber. The Museum moved to its final and current location in the cultural district in 1932, the building was designed by renowned Portland architect Pietro Bulluschi. About six years later, a wing designed by Bulluschi was added to the Museum, the Hirsch Wing. This wing doubled the gallery space at the Museum. This expansion solidified the Museum's prominence in the Portland community, and it would lonely continue to gain community support and interest in the years to come. The Museum remained a strong cultural hub throughout World War II. It continued to grow and expand not only its structure, but its collection. Many exciting exhibitions have come through the Museum in the last century, including one featuring Vincent van Gogh in 1959 which had more than 80,000 visitors alone. The proceeds from this exhibition allowed the Museum to purchase Calude Monet's Waterlillies. A priceless and beloved piece and a staple to the Museum's collection. The Museum was excited to celebrate its centennial in 1992 and is now one of the leading cultural institutions in the Pacific Northwest. The Museum's collection is now consisting of 42,000 pieces and growing. The dedicated staff is excited to see the Museum continue to grow and serve the community for the next 100 years and many more to come. The mission of the Portland Art Museum is to "engage diverse communities through art and film of enduring quality, and to collect, preserve, and educate for the enrichment of present and future generations." The philosophy is the driving force behind the idea that artwork should enrich and inspire positive change in people's lives. The core values that drive the Museum's purpose are: Creativity, Connection, Learning, Accessibility, and Accountability. These core values are meant to enrich communities and deepen human connections through quality art and film. Ultimately, the vision of the Portland Art Museum is to remain a beacon for culture and education for the betterment of the community. Through educational programs and community involvement, the dedicated staff at the Museum do everything possible to achieve this vision. There are 9 permanent collections residing at the Portland Art Museum: American Art, Asian Art, European Art, Modern and Contemporary Art, Native American Art, Northwest Art, Photography, Graphic Arts, and Silver. 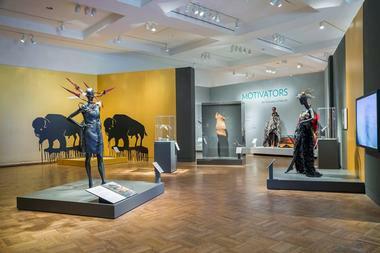 Each collection contains rare and exciting pieces that visitors of all ages can enjoy. 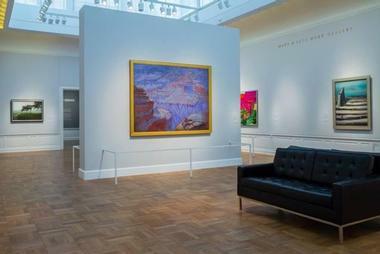 The American Art collection is located in the main building on the second floor. It provides a chronological overview of the history of American art. The collection is filled with late 19th-century masterworks such as the magnificent Mount Hood by Albert Bierstadt, The Sculptor and the King by George de Forest Brush, and Thomas Moran's The Grand Canal, Venice. Other works from the first half of the 20th century include paintings by members of a group referred to as "The Eight", these were American artists that united to oppose academism and valued artistic freedom. The Asian Art collection is located on the first floor of the main building and has approximately 4,000 pieces. The collection contains Chinese, Japanese, and Korean works, including prints, ceramics, paintings, and decorative arts. The pieces in the Chinese collection covers an extremely broad span of time, some ceramics even date back to the Han and Tang dynasties. The Japanese collection contains approximately 800 prints, a variety of paintings and decorative arts. The Korean collection is smaller than the other two but quite significant., with some items dating back to the 4th century and others as late as 1910. 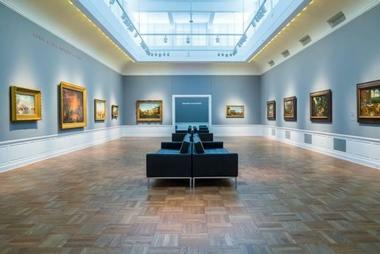 The European Art collection has been the core of the Portland Art Museum since its founding in 1892. The collection occupies a chronological sequence of galleries on the Main Building's second floor allowing visitors to follow the works from the 17th century to the 19th century. Several important paintings were acquired in the early decades of the 20th century, but the Museum acquired French 18th-century Impressionist paintings which are nowat the center of the European collection. In 1961, the collection expanded to include the Renaissance and Baroque paintings and sculptures. 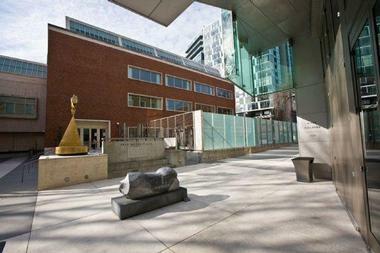 The Modern and Contemporary Art collection is located in the Jubitz Center for Modern and Contemporary Art. In 1908, the Museum obtained its first original piece of art and hosted its first Modern and Contemporary exhibition. A variety of media are incorporated into this chronological presentation, including traditional paintings and sculpture, photography, works on paper, decorative arts, new media and time-based art such as video and sound works. The Photography collection is the largest permanent exhibition space dedicated to photography within a museum. There are approximately 5,000 works in the collection and includes works by Cindy Sherman, Lorna Simpson, and Carrie Mae Weems, Robert Adams, Elliot Erwitt, Dianne Kornberg, and Joel Sternfeld. These are just overviews of the majority of the collections on display at the Portland Art Museum. The other collections are just as vast and exciting. For instance, the Native American Art collection contains more than 5,000 pieces of prehistoric and historic objects from 200 different cultural groups. The Northwest Art collection was established in 2000 and traces the history of the Northwest form the 19th century to today. The Graphic Arts collection contains more than 26,000 prints, drawings, and photographs that range from the 12th century to today. And finally, the Silver collection is a result of the members of the local Portland community. There are currently 100 pieces ranging from a 15th-century drinking bowl to a mid-Victorian silver tea service. All of these collections are brilliantly displayed and are sure to delight and impress members of the whole family. There are many exciting events coming to the Portland Art Museum, most notable is Andy Warhol: Prints from the Collections of Jordan D. Schnitzer and his Family Foundation. This exhibit contains approximately 250 original Andy Warhol prints and is the largest collection of its kind, spanning two floors of the Museum. This exhibition features some of the most prominent works of his career organized in chronological order. It provides great insight into Warhol's obsession with serial image repetition and the essence of printmaking as a mechanical means for reproducing images. This exhibition is on display from October 2016 - January 2017. Other upcoming exhibits include:Cranes, Dragons, and Teddy Bears, on display from October 2016 - March 2017, which features Japanese children's kimonos from the Collection of Marita and David Paly.Rodin: The Human Experience, on display from January - April 2017,which features selections from the Iris and B. Gerald Cantor Collections. And finally, on display from January - June 2017, Constructing Identity: Petrucci Family Foundation Collection of African American Art.Visit the upcoming exhibition page for more information. The Portland Art Museum hosts a variety of cultural and educational programs for members of the entire family. Public programs include artist talk series, midday art breaks, art and conversation, and Fridays at the museum. All of these are open to all interested members of the community. Family programs include Miller free Sunday, baby mornings and family tours. There are also programs for educators including a teacher advisory council, private educator events, teacher resources and guides, and even school tours. There are also vast multimedia programs to take part in including lectures, talks, and workshops. 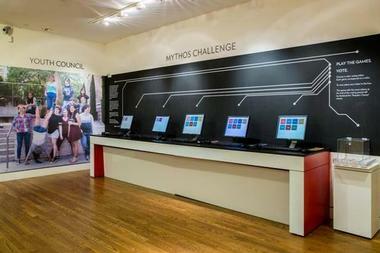 For more detailed information on these programs and how to get involved, visit the Portland Art Museum education site. 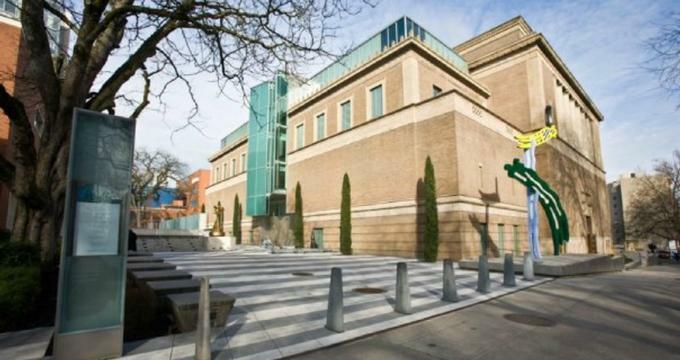 The Portland Art Museum offers a variety of touring options for visitors. There is also a relaxing coffee shop where visitors can eat and refresh, a family-friendly library where visitors can comfortably learn and enjoy all of the museum's thousands of volumes, a fun museum store where visitors can commemorate their visit with a souvenir, and even private/group tours so visitors can get the most out of their visit. Visitors can find everything they need for a day filled with fun right on property, but the surrounding Portland area also has so much to offer. World-class dining, shopping, and a wide variety of cultural sites are abounding.